To provide health and social services to people who need it the most, at the time they most need it. bring about help and assistance. We uphold the dignity of our beneficiaries and give them due respect. 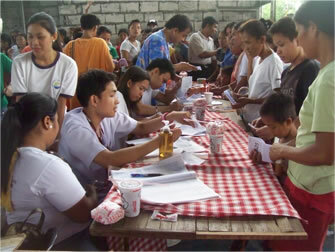 The Kalusugan Caravan (Health Caravan) pools together volunteer doctors and health workers in health missions conducted nationwide. Benefitting the needy sectors, the caravan provides blood pressure monitoring, treatment of minor illnesses, pap smear for women, and dental check-up.